Kristofferson Culmer is the 2018 NAGPS Director of External Affairs. Currently, Kristofferson is a doctoral candidate at The University of Missouri (Mizzou) in Columbia, Missouri where he is completing a PhD in Computer Science. His research currently focuses on Online Social Networks (OSNs) and Natural Language Processing. He completed his undergraduate studies at Central Methodist University in Fayette, Missouri, earning Bachelor’s degrees in Computer Science and Business. 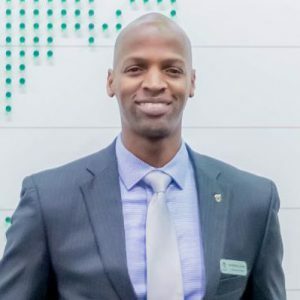 He is a native of the Commonwealth of the Bahamas where he worked as the operations manager of a worldwide franchise before pursuing his college education in the United States. After being offered a Track & Field scholarship, Kristofferson then began his studies at Central Methodist University. Prior to being elected NAGPS Director fo External Affairs, Kristofferson served on the 2017 Board of Directors as the Immediate Past President, a two term President in 2016 and 2015, in 2014 as the Director of Outreach, and the 2013 Board as Chair of the South Central Region. In addition to his service to NAGPS, Kristofferson is also very involved in student life at Mizzou. He served as President of the Graduate Professional Council (GPC) for three years and currently serves as the Chair of the Inter-Campus Student Council (ISC) for the University of Missouri System. Kristofferson is also a member of the Phi Delta Theta international fraternity and currently serves as Chapter Advisory Board Chair (CAB) for the Missouri Beta Prime chapter at Central Methodist University.